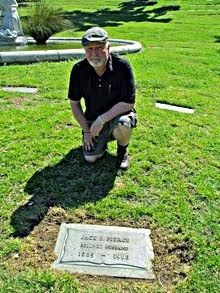 There can be no overestimating the influence that Jack P. Pierce has had on the iconography of horror cinema. 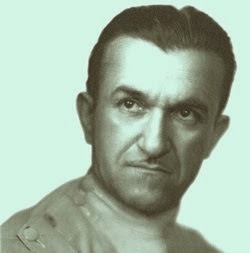 His name belongs on or near the top of any A-list of great movie makeup artists that have been spawned (and spurned as Pierce once was) by Hollywood from the Golden Age until present day. In the 1920’s Lon Chaney had his Quasimodo, his Phantom of the Opera and his piranha-toothed London vampire, but Pierce dominated all others in the 1930’s with his visually stunning creations of the Frankenstein monster, Morgan the Butler, Murder Legendre, The Mummy, the Werewolf of London, The Bride of Frankenstein and the Luciferian Hjalmar Poelzig. His arc of genius reached its zenith in the early 1940’s with his makeup on -- ironically -- Chaney’s son for THE WOLF MAN. When asked by an interviewer which of the Universal characters he was responsible for creating during his 20-plus years as Universal’s head of makeup, he replied: “All of them”. Strephon Taylor’s new documentary, JACK PIERCE, THE MAKER OF MONSTERS, is both a tribute and a testament to Pierce’s enduring legacy. Produced in much the same fashion as his other genre documentaries (UNCLE FORRY’S ACKERMANSIONS, THE COMPLETE BOB WILKINS CREATURE FEATURES), this film combines both stills and live action clips to chart the trajectory of Jack Pierce’s career, from his early days odd-jobbing it as a projectionist, actor and stunt-man, to his first opportunities for recognition as a makeup artist with his phenomenal work on THE MONKEY TALKS and THE MAN WHO LAUGHS, to his full-time directorship at the helm of Universal Pictures’ makeup department. After that, they say, is history and Pierce provided plenty of it through the years, providing a multitude of characters for the Universal monster machine that remains viable and marketable to this day. Much of the material that is presented (in the “Kevin Burns” style of screen transitions) is from promotional stills and images from Jack Pierce’s personal scrapbook. Included are film clips, a voice over reading some of Pierce’s printed interviews, and an audio recording of Pierce discussing his work with TV man Wayne Thomas. 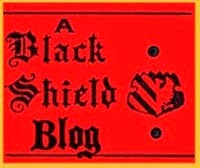 The narration by Ernie Fosselius is well done and well recorded. The music by Hobgoblin has its moments, but I found it a bit intrusive on occasion. I also missed seeing some live commentaries by the historians, Scott Essman, Doug Norwine and Larry W. Underwood (a.k.a. Dr Gangrene). My review copy did not contain the DVD extra interview with composer Hans J. Salter so I cannot comment on it. 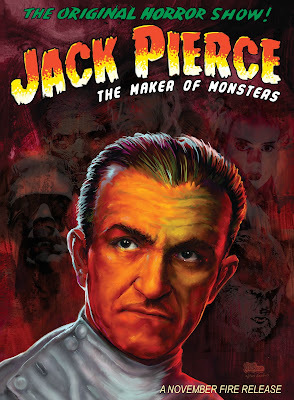 JACK PIERCE, THE MAKER OF MONSTERS shows a lot of dedication and love for the subject and, as a result, belongs in any horror fan’s DVD cabinet. 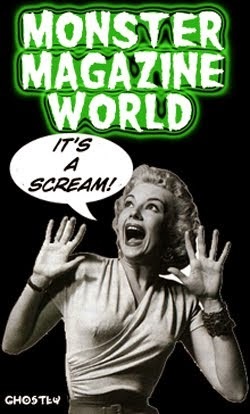 It is both entertaining to watch and to own as a pop culture artifact from a day when horror films were still young. “In today’s cinematic world of digital effects, telling what is real from what was created in a computer is impossible. But there was a time when Hollywood relied on nothing more than an artist’s ability to create a boogie man with grease paint, cotton, glue, hair, and a few simple materials to draw people into the theater to be chilled and thrilled. When we think back to these talents of the silver screen most people think of “The Man of a Thousand Faces,” Lon Chaney. But Universal Studios had its very own Phantom creating the world’s most memorable creatures lurking in its substages. His amazing ability to create makeups that can still stand toe-to-toe with today’s multimillion dollar effects is worth a closer look. 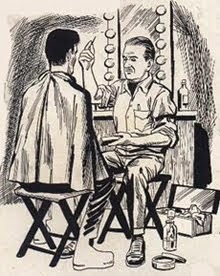 Jack Pierce was the man who brought us Dracula, Frankenstein's Monster, The Mummy, The Wolfman, Bride of Frankenstein, and countless other monsters that have stood the test of time. 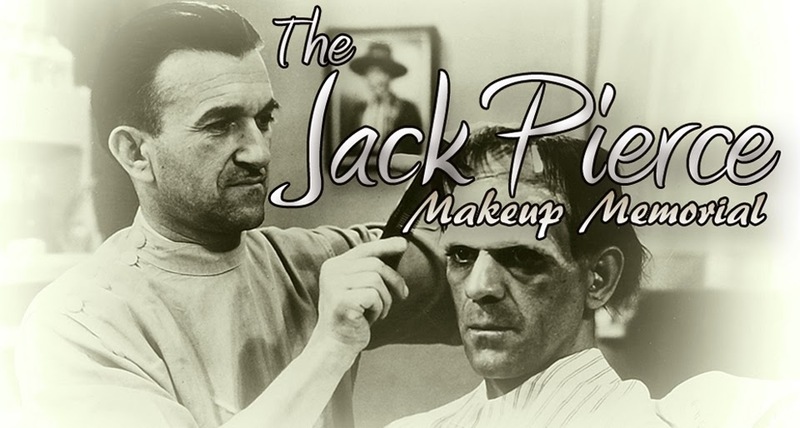 Drawn from recorded interviews, historical footage, hundreds of photos including Jack Pierce’s personal scrap book, and news clippings we meet “The Maker of Monsters,” Jack P. Pierce. Join his journey from Greece to the budding film industry in Los Angeles in the early 1900s to his rising star as a freelance film hand, eventually becoming the head of Universal’s makeup department and creating the monsters that we all grew up with and still love. This 82-minute documentary covers his entire career and life including the surprising hand Pierce had in American Olympics history. Plus, all the classic monsters your heart can stand! Visit the NOVEMBER FIRE webpage for more information on the release of this DVD.